It being the Fifth Round of the FA Cup this weekend, the BBC showed a programme yesterday with highlights from this stage of the competition in the past. One of the matches featured (at 42 minutes) is a tie between Wimbledon and Everton at Plough Lane in 1987. There are lots of things that will look odd to younger viewers: fans massed on standing terraces behind the goals and in paddocks in front of the stands; players in unnamed shirts numbered 1-11; floodlight pylons at the corners of the ground; passing back to the goalkeeper, and advertising hoardings for long-gone entities, such as Girobank, Danair and, on the half-way line in front of the Main Stand, one for "Trumans - London Brewers Since 1666". 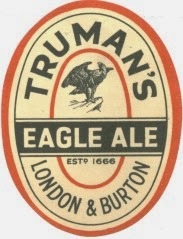 Trumans - then part of the GrandMet conglomerate which had taken it over in 1971 and merged it with Watney Mann the following year - closed its brewery in Brick Lane, East London, in 1989. The 1983 Good Beer Guide describes their bitter, best bitter and mild as "full-flavoured", "distinctive" and tasty" and the 1990 one records their transfer to the, also now defunct, Ushers brewery in Wiltshire. 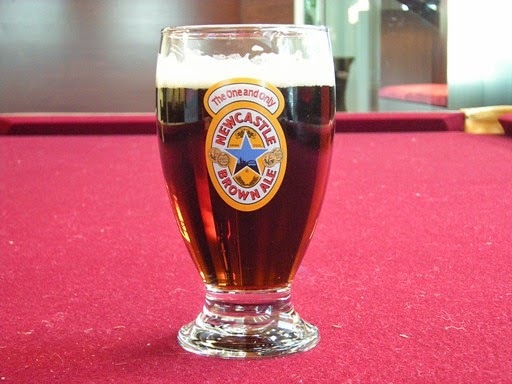 I've never seen, let alone drunk, them so have no idea what they were like; I suspect they still exist among the unbrewed beers of some corporate portfolio.